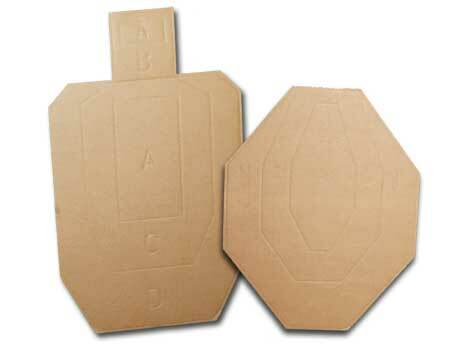 Smaller versions of the real IPSC / IDPA targets, these custom designed cardboard targets are smaller and thinner allowing airsoft BB’s to penetrate them in the same manner as real bullets do on normal targets. Proportionately balanced, these traditional and classic targets give the user the same accuracy results they get when shooting real IPSC targets. Packaged in 50 pc. bundles.